The strongest tidal current in the world transports 400 million cubic meters of water in six hours. The waters reach speeds up to 20 knots or 25 mph. This causes some serious turbulence in the waters, generating these maelstroms. You can even visit them by boat. 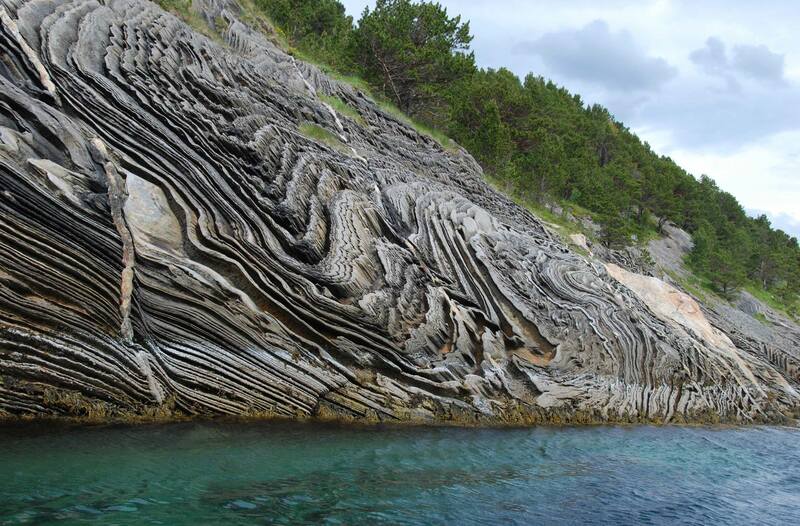 Remember the Caledonian folding at Saltstraumen from last week? Well, today we’re going to the same area. Maybe, after reading this your priority to see this spot has risen a significant bit, just like mine. Maelstrom comes from a Dutch word, which translates to grinding stream. 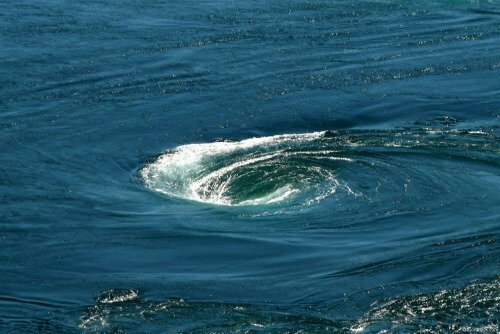 These phenomena are among the most powerful whirlpools in our oceans. The strong current streams through the narrow (150m) strait of Saltstraumen. Every bump and rock will cause turbulence within this stream. 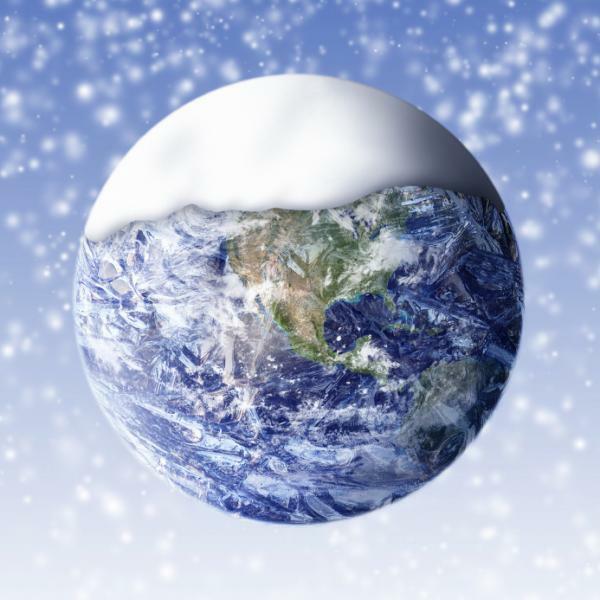 Slowing down on one side and still going strong on the other, causes the water masses to spin. This angular momentum will both cause coherence in the swirling creating an imaginary axis downward the maelstrom and stability of the maelstrom as it drifts along the current. Physicists love angular momentum, it causes the best phenomena we can show off with! 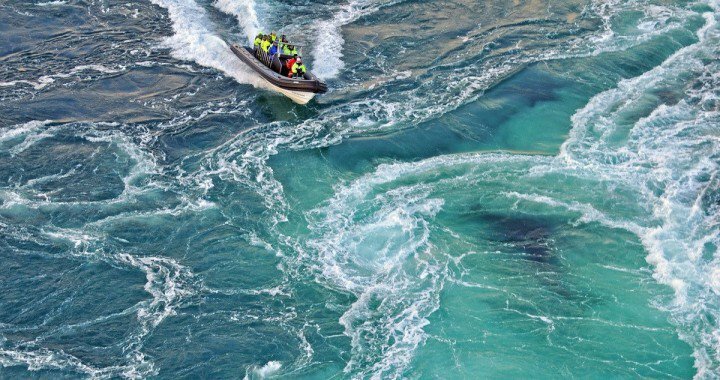 The Maelstrom of Saltstraumen is up to 10 m wide and 5 m deep. Tourist information can actually give you more information about the tidal currents. The incredibly strong currents happen in this strait because it connect two large water bodies, namely the outer Saltfjorden to the large Skjerstadfjorden. The Skjerstadfjorden connects to the Norwegian Sea, while the Saltfjorden leads into Norway. Maelstroms have inspired many authors, H.P. Lovecraft, the author of the Cthulhu myth and teacher of Stephen King was fascinated by the inescapable nature of the Maelstrom. However, the currents are not constant, hence the information about tidal currents. 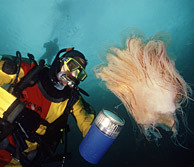 The Saltstraumen is an amazing place for scuba diving and fishing. The official tourist information is over here. Posted in Earth Science and tagged fluid dynamics, Norway, saltstraumen.